According to literature, it is hard to define the origin of the common “chorus girl” dancer. Some trace the chorus girl back to the Ballet Russes, or to the cancan dancers of the 1800s. Some even suggest the origins go back as far as the Baroque era to ladies who acted as backup actors/dancers on stage during the great opera performances of the time. How do you define a Chorus Girl? 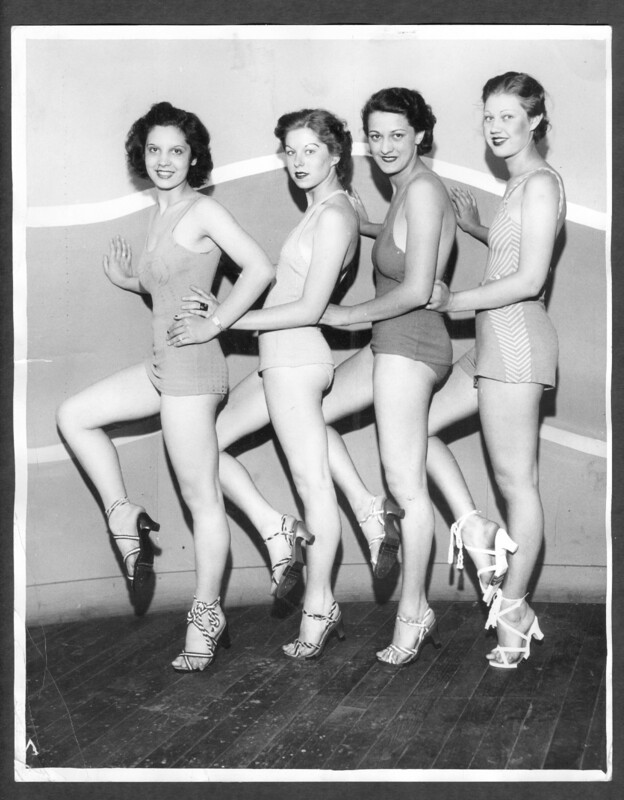 For the purposes of vintage vernacular jazz dance, when we hear the term “chorus girl”, we often associate it with such imagery of the Ziegfeld Follies and, later on, the Goldwyn Girls. Many a famous female icons began their careers as chorus dancers, either in film or on stage in vaudeville. Names on this roster include legends such as Lucille Ball, Ginger Rogers, Josephine Baker, Joan Crawford, and many more. Chorus girl routines often focus on synchronization of movement and footwork, highlighting this by positioning the dancers in long lines or complicated formations. Classic clips also often featured elaborate sets and costumes. The Ziegfeld Follies were famous for these types of routines. The most memorable classic movie clips often feature elaborate sets and costumes, and overhead film shots where the dancers create dynamic shapes and formations from a birds’ eye view. Choreographies by Busby Berkeley show many of these characteristics. For more historical information, check out this blog. You can also see how Sister Kate performs these types of routines by watching some of our videos!